Last Minute Christmas Gifts, and Guess what Gift I Bought for My Husband! 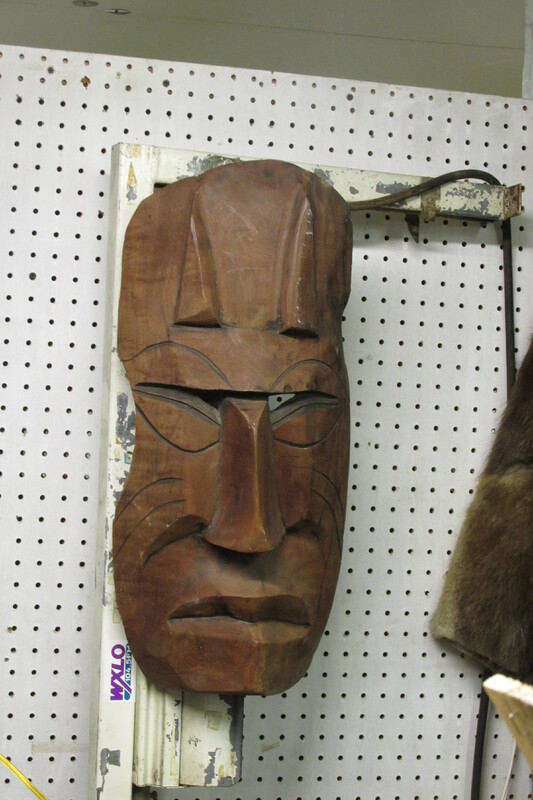 I went to purchase a gift at the local vintage/junk shop in Swanzey NH. Sadly the item I wanted was not there. But I found lots of other last minute gifts, one of which I bought for my husband. If you see anything you like, I’ll gladly overnight it to you (for a small fee, well maybe a large fee). So don’t worry about those last minute gifts, I have one of a kind gifts for ALL to choose from. 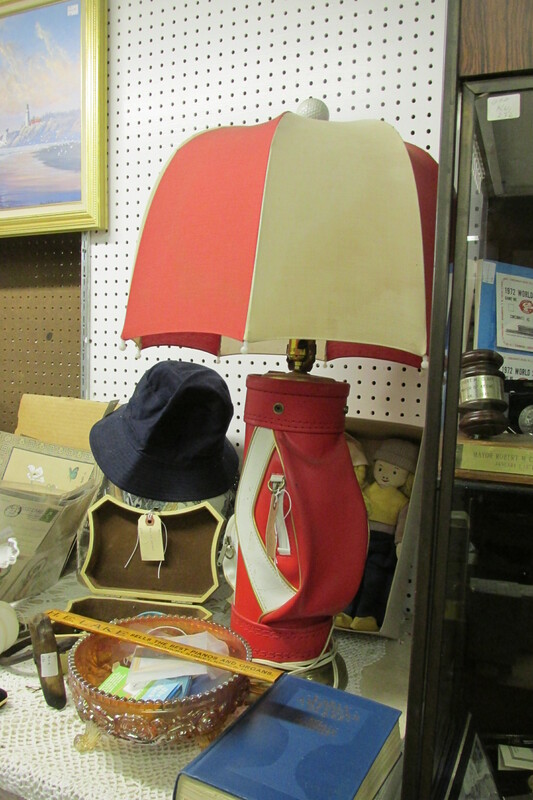 What golfer (and family) would not love this beautiful golf themed lamp. Think how lovely this would look in your father’s living room, and how happy your mom would be about this addition to the decor! (or if your mom is the golf fan, think how thrilled dad will be!) This lamp just screams “Goes with anything” especially on vintage Chesterfield end tables. Anthropologist in your family? Show them what you found in the dark recesses of Swanzy NH. Who knows what ancient civilization carved and left this here….or possibly it was ancient aliens. 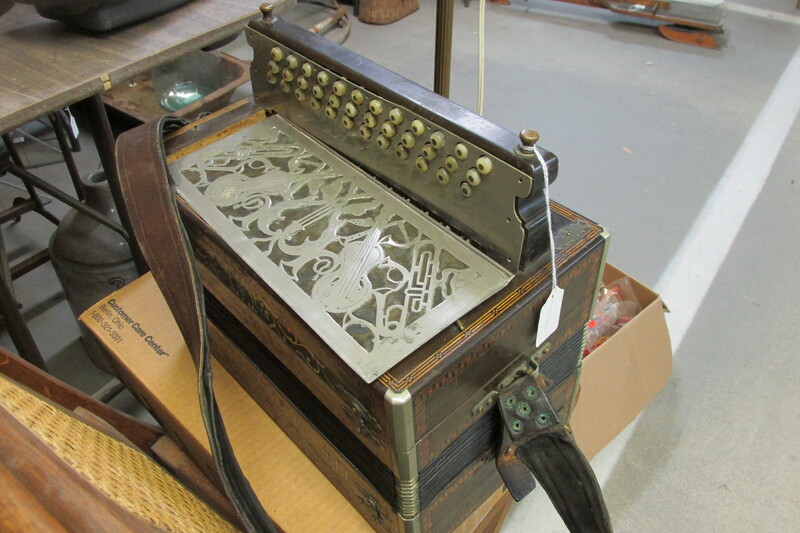 While this obviously belongs in a museum, think how thrilled your relatives would be to receive this! I suggest hanging in a bedroom where it can watch your loved ones sleeping all night. Who hasn’t dreamed of owning a fur coat? Want to impress your girlfriend/boyfriend/wife/dad/mom/sister/strange cousin? This coat is for them. Also someone in your family a vegan? 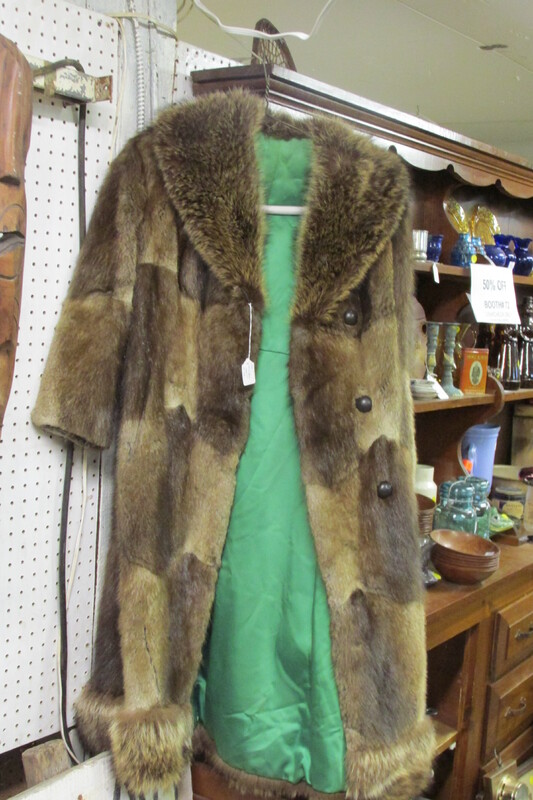 This coat is vintage, these animals died long before your friends vegan were born. Vegans are allowed to wear recycled furs, trust me on this. 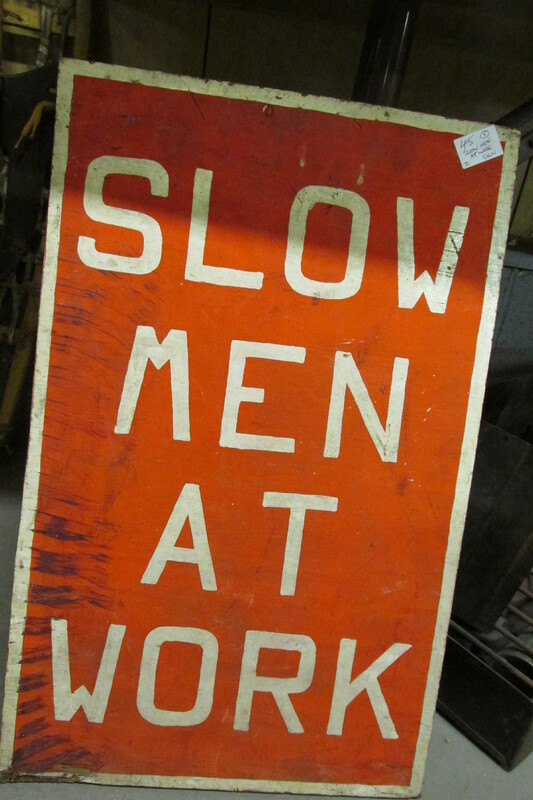 Nothing says “I love you” like a “SLOW MEN AT WORK” sign. Especially if one of the slow men has driven over the sign and the tire marks are still there. Think of the laughs when you pull this sign out whenever the men in your life are cutting the grass, changing a light bulb or doing taxes. Endless laughs and fun, give it to your boss at work! Remember don’t clean off the tire treads, nothing devalues an antique like cleaning it. Well, who hasn’t wanted a beautiful work of sculpture such as this statue of…I’m not sure. 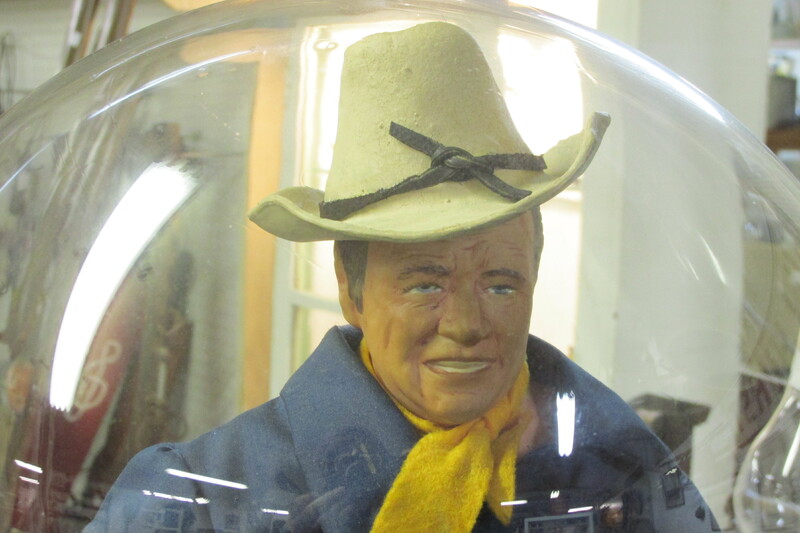 I think it could possibly be John Wayne, looking at his face, perhaps after he had been embalmed. 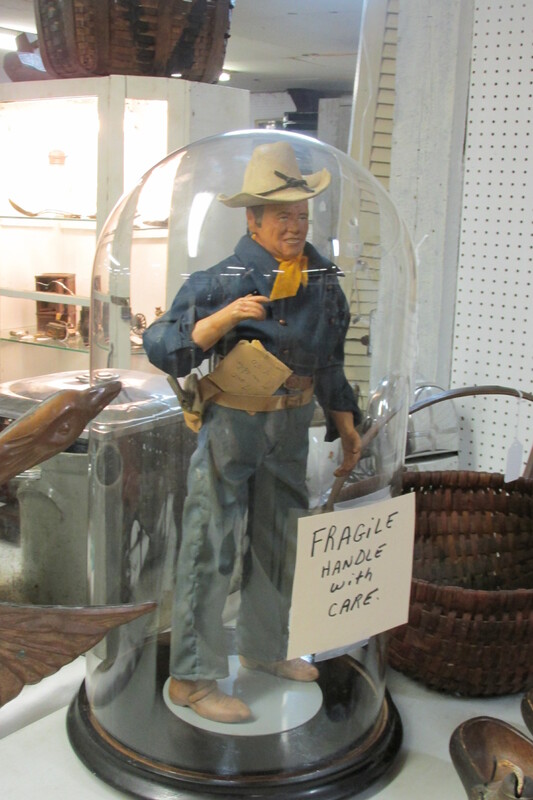 Still, this cowboy comes with a protective glass covering just because he’s so special. Insist this gift goes in the living room, see if it will fit on the fireplace mantle. Nothing says LOVE like an accordion. Nothing. NOTHING! This gift is best delivered anonymously. Just knock on the door Christmas Eve and run. Wrap it in plain brown used butchers paper. Perhaps just write on it, in faint ink, “good luck”. Directions perhaps such as “don’t make her angry…..” written in blood red ink could also be a nice touch. This gift could be for yourself. Just put it in your guest room when visitors stay a little too long. 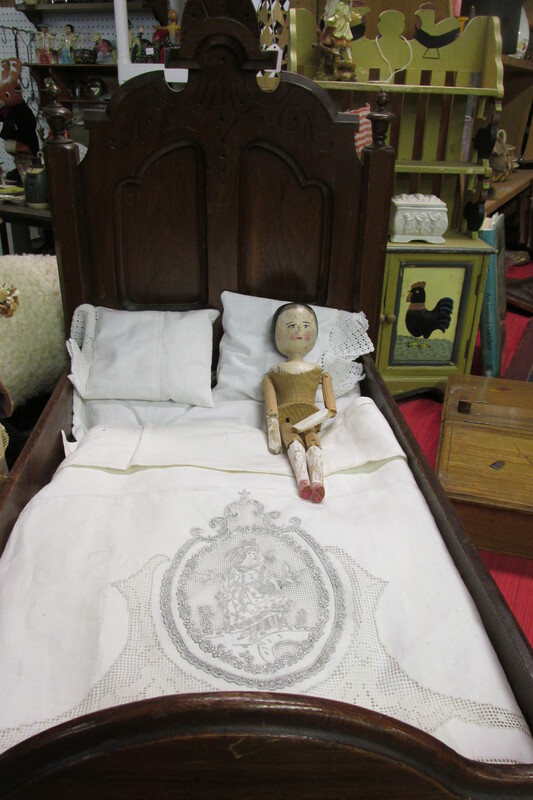 Be sure to say “Good night Agatha” to her before you tuck your guests and the doll in. So, what is YOUR GUESS for the gift I actually did purchase for my husband for the holidays? Write it below and let’s see who gets it right? ALso still time to overnight ship of these unforgettable gifts for you to place under the tree of those you love. Or loath.